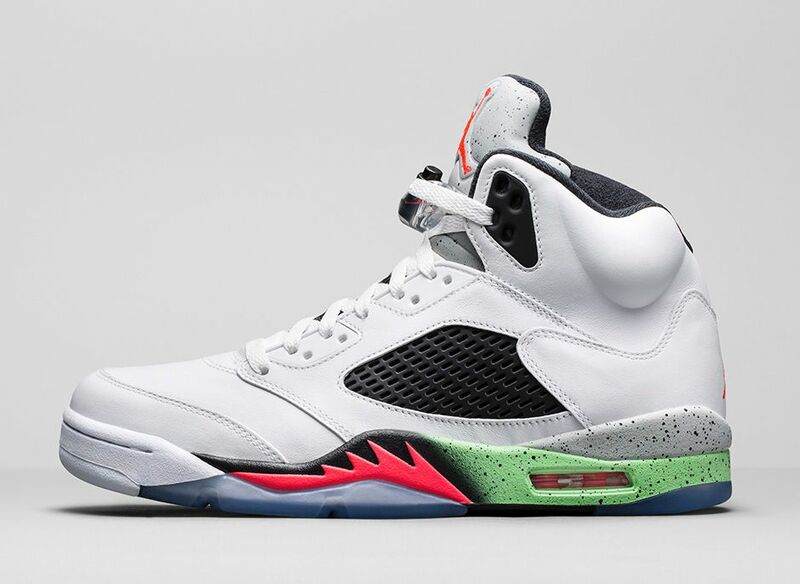 Jordan Brand present the Air Jordan V Retro “Poison Green” for Summer 2015. 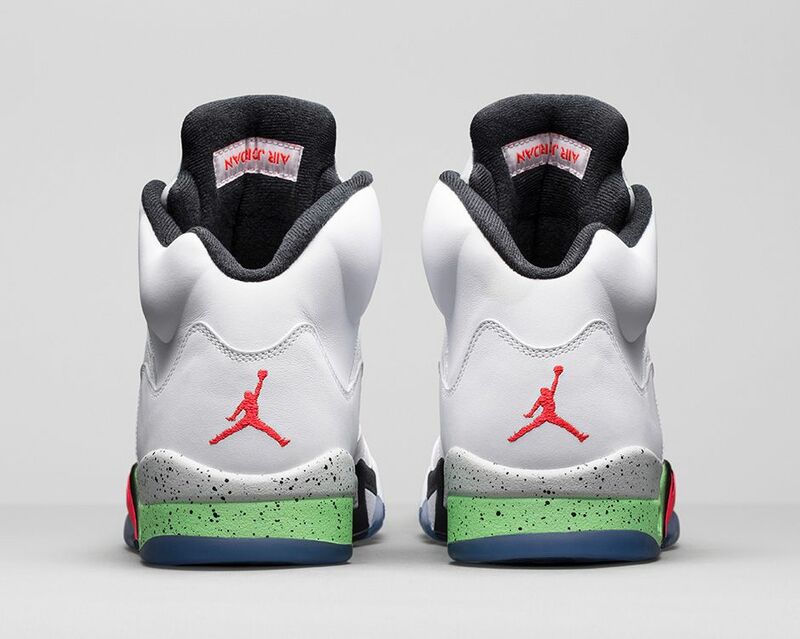 Inspired by the 1991 Saturday Morning cartoon “ProStars” which featured Micheal Jordan among other famous sporting superheroes. 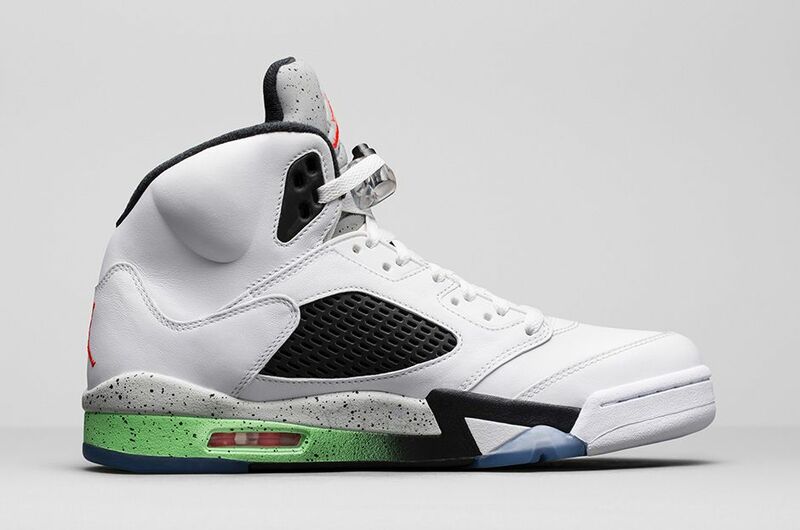 The shoes clean black and white upper is complimented with vibrant infrared and poison green hues on the midsole. 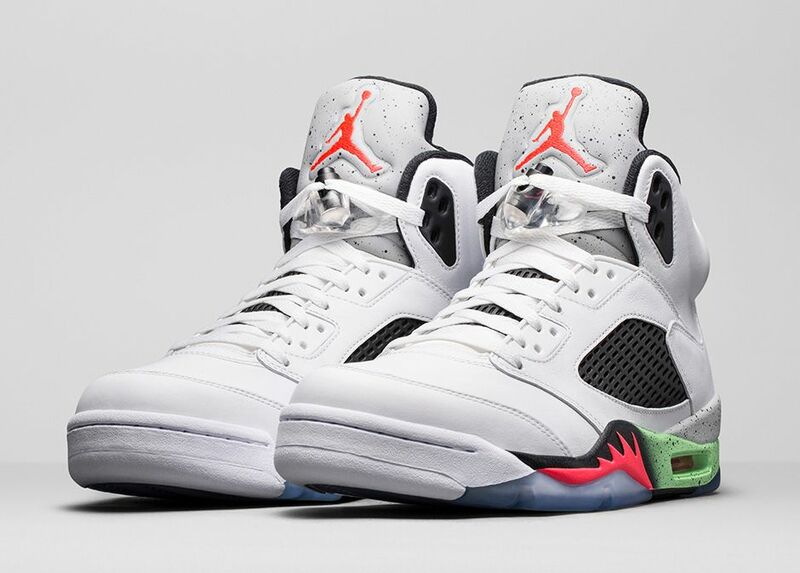 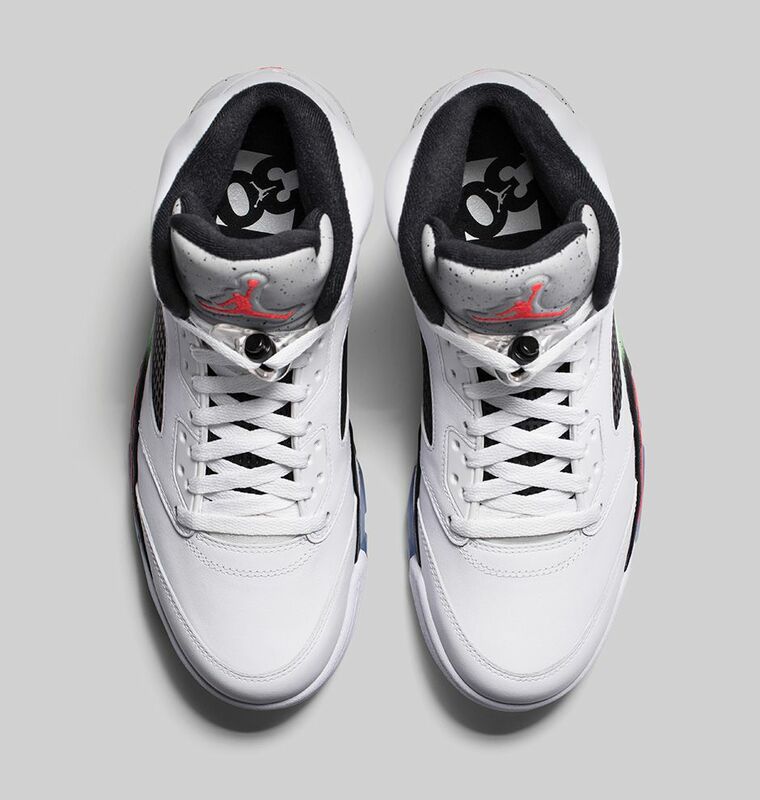 Accented with an ice gum outsole and infrared Jumpman logos embroidered on the tongue.